The women featured in Hidden Figures display all the right stuff. Once upon a time, such as during the early years of America's space program, "computer" meant "person who does manual calculations." This was considered rather menial labor, particularly when a woman did it... and lots of women did it. Though these women were as smart and educated as the men they worked alongside, and often did much the same work as those men, they were paid less, in money and respect, than men (who held titles such as "engineer"). Anything done by black women was, obviously, barely worth mentioning. And "barely mentioned at all" has, outrageously, been the fate of so many black women who were essential to the U.S. space program. You know Alan Shepard (first American in space) and John Glenn (first American to orbit Earth). 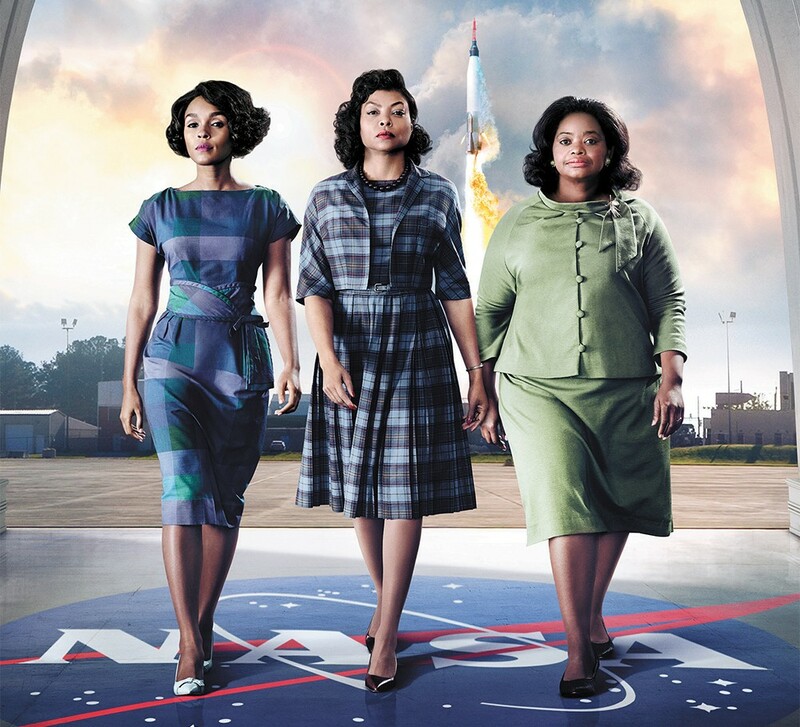 But you've probably never heard of Katherine Johnson, Dorothy Vaughan and Mary Jackson, who were pioneers in — respectively — mathematics, computer programming and engineering at NASA, without whom those astronauts would never have flown. Hidden Figures is the it's-about-damn-time true story that fixes that wrong and corrects the notion that the only people who had the Right Stuff in the moonshot effort were white and male. This is no dry history lesson, but an often funny, ultimately feel-good triumph of geeks who faced even more absurd obstacles than any white boy with a pocket protector. It's disgraceful that it has taken this long to come along. Now that it's here, Hidden Figures is cause for celebration. Empire's Taraji P. Henson is marvelous as Johnson, who does a lot of standing at blackboards chalking out calculations and making that genuinely thrilling, and not only because — geeky squee! — she's trying to invent the math needed to put a spaceship into orbit and return it safely to the Earth's surface. She allows us to feel the gears turning in her head as she works, and we share how transporting it is for her to escape into the numbers, when so much of her day is spent merely convincing all the white men around her that she can do the job. Director Theodore Melfi wrings a lot of wry humor out of simple visual moments, as when Johnson hesitates while typing up a report for reasons that have everything to do with her agitating for validation of her work. Melfi also makes sly visual allusions to iconic moments from The Right Stuff: Johnson does a lot of running around NASA's Langley, Virginia, campus à la Jeff Goldblum in that other film, though for wildly different reasons. Melfi's use of the "victory walk," which Right Stuff director Philip Kaufman all but invented, has the always wonderful Octavia Spencer as Vaughan leading her "colored computers" to the plum new assignment at NASA that she has made happen. It's clearly meant to elevate these women (and rightly so) to a realm as rarefied as the one the Mercury 7 astronauts have enjoyed, thanks in part to Kaufman's visual iconography. Melfi may be the first filmmaker to have truly recaptured that power, with characters who have actually earned the right to be proud of their achievements. It's a glorious moment in the film. Hidden Figures is not showing in any theaters in the area.